Fracking is a process that often has the unintended consequence of leaking ‘proprietary chemicals’ and natural gas into streams, rivers and the ground water table. Fracking, the process of extracting natural gas by injecting highly pressurized chemical, sand/water sludge into the ground, is a highly controversial method of extraction that adversely affects living beings. Instead of fracking, use the sun’s predictable movements to heat and cool your home. FrackTracker – See where fracking is done around you. 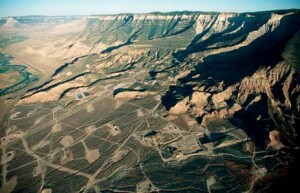 Great resource – passed ordinances all online (pdf) – County in NM first in nation to ban fracking! Propublica – A really good resource of information. Super detailed map – Colorado, little difficult to navigate – Fractraker is better. National Fracking Website – list of organizations. Wiki – Add your information here. Direct link to fracking accidents map.